Savvy GuRu Photo Contest Winner Announced! “A Savvy Guru” Facebook contest came to a close last Friday. The competition was fierce, and inspiring as well; seeing so many pictures with #StaySavvy @ Maitria Hotel Sukhumvit 18 trending in Facebook when we looked up #StaySavvy during the Campaign period, October 8-31, 2014. Now, it’s time to announce the winner. What we do is collect every name each day to make sure that all of you are entered to win. 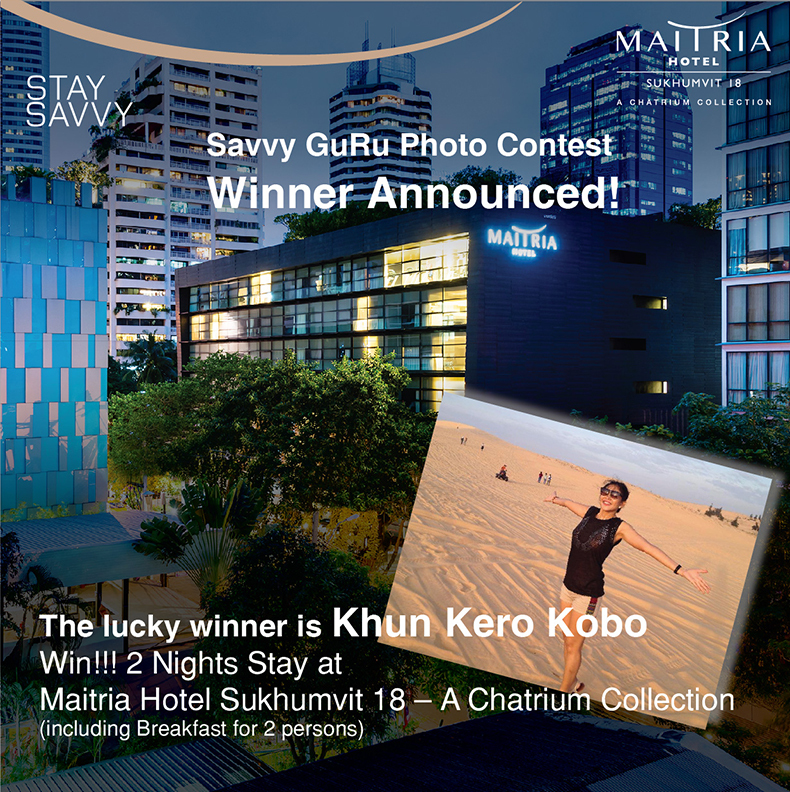 There were 96 photos in total that follow our rules and were entitled to a random pick to win a 2 nights stay at Maitria Sukhumvit 18 – A Chatrium Collection. And the winner is… Khun Kero Kobo!!! Congratulations khun Kero Kobo. We’ll be in touch via Facebook for further processing as soon as possible. Please stay tuned and follow Chatrium Hotels and Residences. We will be back for more various and bigger prizes! !